It's no secret that our education system is in dire need of help. Public school classes are overcrowded and teachers often don't have enough time to ensure every struggling student gets the attention they need. Which is why private tutoring is in great demand, and why Cognition.Online is touted as the ultimate tutoring solution. While many may believe private tutoring to be unaffordable, Cognition allows users to tailor their options to suit their budget. 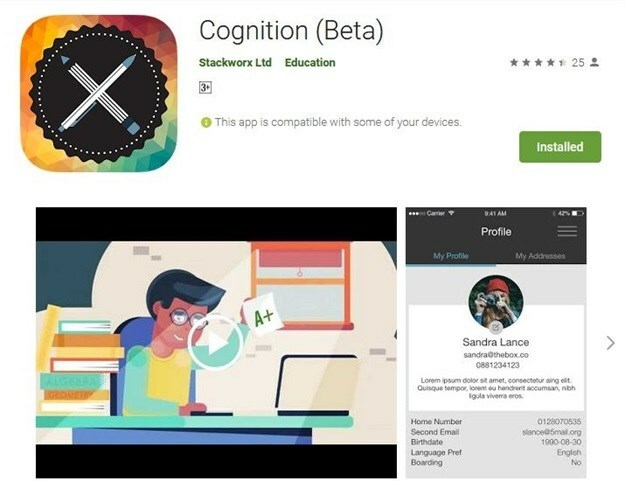 Once downloaded, the Cognition app allows students to source and pay for a tutor through four easy steps. First, users select the subject they need help with; then they can choose the amount they're able to pay for the tutoring session; step 3 and 4 is a date, time and area selection. The request is then sent to the list of verified tutors, who will respond with an offer. Once users select their preferred tutor, they confirm the booking by paying through the online payment system. Those looking to sign up as a tutor can do so via the app, using their Facebook account login. They are, however, put through a stringent selection process. They must hold a degree or prove they are proficient in the subject they are studying. A driver’s licence is also required. We chatted with founder and managing director, Kyle Dodds, about the latest version - Cognition 2.0 - which has expanded the app's offering from only Grade 4 - 12 tutoring, to now include university subjects, as well as driving lessons. Who are the brains behind Cognition? Dodds is a qualified civil engineer, specialising in structural engineering from Pretoria University, and who has been involved in entrepreneurial projects since a young age. Specifically running a very successful traditional tutoring company for five years during his studies and developed a keen understanding for the industry. His involvement in the professional engineering consulting environment, coupled with his entrepreneurial background in the education space, is invaluable in guiding the product development to meet the needs of our users while dealing professionally with relevant parties. Dodds regularly presents on youth entrepreneurship and recently formed part of a panel discussing and presenting on the future of education at the Allan Gray Orbis Foundation Circle of Excellence conference to representatives of the top 100 schools in the country. This influence will continue to aid Cognition. Clasen is a BIS Multimedia graduate from Pretoria University, where he acquired skills in development and UI/UX design. He soon understood that there is a great need to connect the dots between technical limitations and what the design team, client and product owner has in mind. He has since filled roles as a Microsoft Sharepoint developer, digital project manager and digital solutions consultant, seeing large-scale digital projects in the communication, telecoms and construction industries to light as consultant and co-founder of Stackworx.io, a digital development firm that focuses on building platforms. On a day-to-day basis, he is involved in planning technical scope and milestones and making sure that the user experience is always at the forefront. Boshoff is an industrial engineer (Hons.) from Pretoria University, who discovered his knack for entrepreneurship and critical solution thinking during his varsity days, where he built his first route optimisation algorithms and logistics management systems. Since then, he successfully started and owns the logistics management consulting firm Viewmetrics with 32 employees. 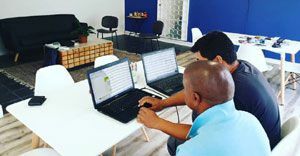 He has implemented his route planning tools through his tech co-startup Stackworx.io for clients such as Unitrans in Southern Africa, controlling the itineraries for the entire fleet of 2,500 international primary distribution vehicles every day. He is an avid advocate of platform over pipeline businesses and has taken it heart to design and implement two-sided network solutions. Born in Cape Town, Liedeman studied at Stellenbosch University where he obtained a BSc Honours in Computer Science. In his final year, he received a bursary from the Imperial Group and began work there after graduating and entered their graduate program. He then spent the next three years working in the logistics chain, on projects such as the Reserve Bank supply chain re-platforming and the SAPO supply chain. After that, he spent a year at working on the Discovery Health internal claim authorization system as a developer team lead. I am always keeping out an eye for new technologies and ways to improve delivery. We cannot solve today’s problems with yesterday’s tools. Tell us about Cognition and the inspiration behind it? I personally ran a tutoring company for five years while studying civil engineering. The admin just grew way too much to handle while teaching 10 kids a week, as well as managing tutors and trying to finish my engineering degree. I came to understand the frustrations of parents looking for a quality tutor that didn’t break the bank. Through this, I also found out what a hassle it was to do payments at the end of the month with disputes between tutors and parents about their hours for the month arising constantly. A solution had to be found and with the assembled team - Ciaran Liedeman, Corneil Classen, Waldo Boshoff, each with our own skill set - that’s exactly what we did. What payment platforms/methods are available through the app? Currently we use PayU, which allows payment with any cards that are able to transact online. It is a simple and seamless checkout process as it stands, but we are always looking to improve and offer a wider array of methods. What’s the response been like to the program so far? The response thus far has been phenomenal with over 2,000 users, including over 500 verified tutors nationwide. The feedback we receive from our users is so valuable to us; we are blown away by the reaction of people and when it comes to users having minor problems, we address their issues with the latest releases helping us to build an ever-evolving platform. What was the motivation behind including driving lessons? Driving lessons really addressed a need of our existing user base and so it was a natural step to take. We are looking to provide a well-rounded service to the people on our platform, assisting them with all their tutoring and coaching needs. We have an extensive local expansion plan which we are currently rolling out. Our goal is for any student in South Africa to have access to a tutor. This is part of the reason we have partnered with an outreach organisation so we can empower our tutors to make a difference in the communities that can’t afford it as well. In terms of the app, we have a host of further improvements planned, as well as some very handy new features. Finally, we are setting our eyes on a couple of international countries in Africa and overseas where we believe we could have a major impact.